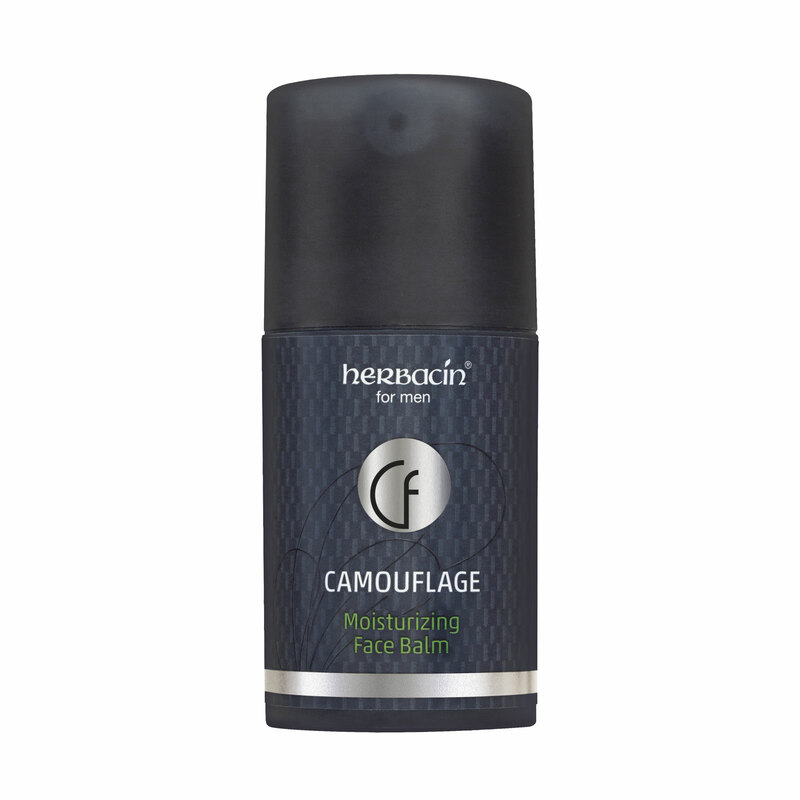 Camouflage Moisturizing Face Balm allows men to keep a firm grip on their skin: The pleasantly light cream-gel specifically designed for stressed men’s skin is based on an innovative moisturizing & repair complex from almond oil, avocado oil, hyaluronic acid, dex-panthenol and natural extracts from ripe dragon fruit and white lupines. It provides for long-lasting moisture, gives intense care and absorbs quickly, without leaving a greasy residue. Carnosine and Vitamin E bind free radicals while strengthening the cell membranes. Furthermore, Carnosine also helps to reduce the reaction between sugar molecules, collagen and elastin, thereby increasing skin elasticity and counteracting premature aging.